Pakatan Harapan’s victory has some investors gearing up for change – will they react with growing confidence now that the General Election 14 (GE14) is over? 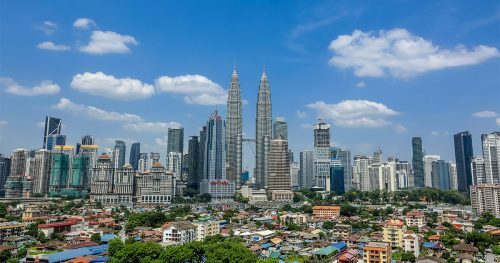 Malaysians looking to diversify their real estate portfolio and redeploy their capital into commercial property should know that the right product(s) can offer attractive and steady returns. Many investors have been adopting a wait and see approach this year because of GE14. Now that the elections are done and dusted, maybe it is time to look at the next investment opportunity. As part of coalition Pakatan Harapan’s campaign manifesto, the new government has promised to abolish the Goods & Services Tax (GST) within a 100 days of being in power. Thus presenting a goodie for commercial property investors/purchasers who might soon enjoy cheaper price tags sans the 6% GST charged on the purchase/sale of commercial properties. The typical investor will most probably look for a house or apartment in a ‘strategic’ location to purchase as he/she believes securing tenants for residential properties is a definite shoo-in. With the Malaysian office and retail sector being badly hit these past few years, we don’t blame them. Nevertheless, one should remember that commercial property(ies) is not homogeneous – their performance varies between different property types and locations. Latest data (as highlighted below) from the Valuation and Property Services Department (JPPH)’s 2017 Property Market Report stands to support this claim. Shop lot (shop building) is the most common commercial property in Malaysia. In 2017, the shop sub-sector accounted for 55.6% of the market’s transactions. According to JPPH’s 2017 Property Market Report, rentals for ground floor shops remained generally stable. Rental increases were recorded in Lucky Garden, Taman Taynton View, Taman Tun Dr Ismail and Bandar Baru Sri Petaling. The rent rate remained high in Jalan Tuanku Abdul Rahman at RM15,000 – RM36,000 per month whilst in Changkat Bukit Bintang prices ranged from RM18,000 – RM26,000. Other notable rental rates included Petaling Jaya Section 14 at RM11,000 – RM14,000 and CBD Perdana, Cyberjaya at RM10,000. In Johor, typical rentals were below RM4,000 except for Jalan Wong Ah Fook which fetched RM6,000 – RM12, 000 per month. Penang recorded a similar trend, with the highest rental figure recorded in Autocity at RM21,000. Most local businesses operate out of shop-lots – think cafes, saloons, restaurants, car-workshops, pharmacies, agencies and even gyms. The traditional shop lot has always been known as shophouses, as these older buildings comprise of a shop on the ground floor while the top level serves as living quarters. Some of these shops are now considered heritage sites and many can be found in places like Petaling Street in KL, Jalan Bunga Raya in Malacca and Georgetown, Penang. Besides purchasing new units and sub-sale properties, commercial property investors can even consider an older or heritage shophouse. The latter has an added edge when it comes to F&B outlets; old it may be, but it is prized for the very same reason. Quite a few heritage shop lots in the Klang Valley, Penang, Malacca and Perak have been transformed into period cafes, eateries, pubs and speakeasies while retaining their old but culture-rich and charming decor and interiors. These businesses have garnered quite a following and are a hit with the millennial and cafe-hopping crowd who are drawn to the old-school charm and Insta-worthy surroundings they offer. Shop units are basically individual units within a shop-lot building. For instance, a 3-storey shop lot might have 3 shop units within it, one on each floor with different owners. This is made possible as each of these units has its individual strata title. Comparatively, a shop-lot only has one strata title and one owner. In that same vein, shop units are generally cheaper and provide a lower entry point for aspiring commercial property investors as they can just buy one individual floor/unit. The ground floor units typically house eateries, grocery shops, car workshops and the like while the upper floors are used as offices. These shop lots are quite popular among small and medium enterprises that are just starting out too. Look out for shops that are located near matured suburbs and residential neighbourhoods as it provides sustainable consumer demand. Many shop units are incorporated as part of a strata residential building too – a great example would be those tenanted by grocery stores like MyNews and laundromats located on the ground floor of condominiums and apartments. Some developers are offering unique products including shop units within a gated and guarded commercial development, located nearby condominiums and apartments like this one at V Residensi 2 in Shah Alam. This commercial property pose as a great investment option as the units can be rented out to service providers that will cater to the surrounding population. Usually, office lots or officially known as Purpose Built Offices (PBOs) by JPPH are located within large multi-storey buildings and skyscrapers. PBOs are used to denote buildings that are built with office as a dominant use, where office use is not less than 75% of the net-lettable area. Several companies share a floor or can occupy an entire floor, depending on the design of the building. These office-only skyscrapers are very common in downtown Kuala Lumpur, as well as several other major cities in Malaysia. Most are built within financial districts and CBDs, which are where all the service-centric and multinational businesses tend to be. A plus point for the office sub-sector is the rising wave of co-working spaces – this new office concept which calls for a flexible working environment has been gaining traction in Malaysia. 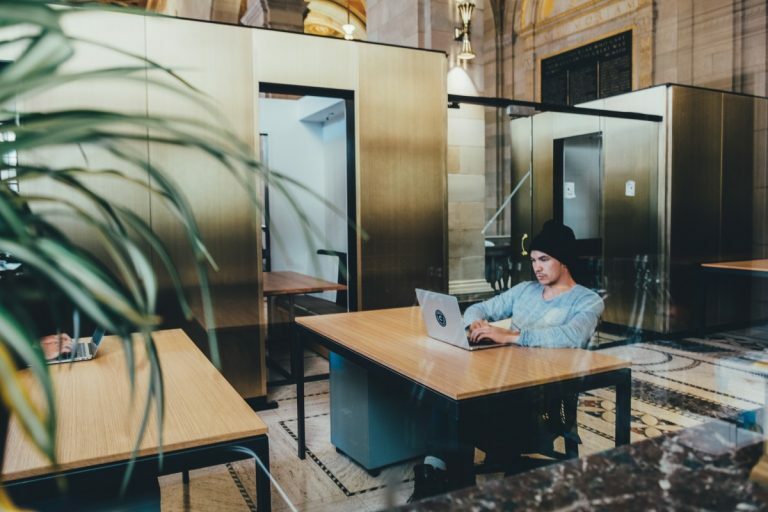 Co-working spaces and open offices are becoming very popular, especially among the freelancer and solopreneur crowd as well as modern business owners. This group is sold by the idea that one can rent a co-working space by the day, week or even month – Owners should seize the opportunity to tap unused and untenanted spaces. According to Regina Lim, National Director (Advisory & Research) at JLL; By 2030, co-working spaces could make up 10-15% of office stock in Southeast Asia by 2030, compared to only 1-5% percent today (2016). Similarly, Small-office, Flexible-office (SoFos) and Small-office Versatile-office (SoVos) are targeted towards individual business owners and small startups and are usually built within a mixed development near popular business districts. With built-ups similar to serviced residences and SoFos, the sizes of SoVos and SoFos usually range between 450 to 850 sq ft. NOTE: Serviced residences and Small-office Home-office (SoHos) are not included as even though they bear commercial titles, these properties are ‘residential-purposed’ and are thus considered housing accommodation. They have standard Sale and Purchase Agreements (SPAs) and fall under the jurisdiction of the Housing Development (Control and Licensing) Act 1966 (HDA). This means that for SoFos and SoVos, developers are not obliged to observe the rules and regulations under HDA, and are free to set all terms in the SPA as they see fit. SoVos and SoFos are re essentially offices and not meant for dwelling purposes. However, the distinction is pretty grey in Malaysia and owners usually utilise their SoFos as both a home and a workplace, similar to a SoHo’s usage. There are no rooms or partitions within a SoFo unit too, thus allowing owners to customize their living or working space. DID YOU KNOW: For commercial properties with residential elements, the owners are not allowed to stay overnight in said property if the management does not allow them to. SoVos are a step up from SoFos as the former is fully-equipped with telecommunication and infrastructural facilities as well as a conference room, function room, etc; making it perfect for its intended tenants including business owners, small startups and freelancers. According to property listings, prices of SoVos in the Klang Valley start from as low as RM240,000. When it comes to investing in commercial properties, the golden rule applies across all business assets – select properties in locations with good connectivity, amenities and a solid population catchment. A commercial property may be riskier than its residential counterpart, but it does generate higher returns when the product and location is right. JPPH’s Property Market Report 2017’s inventory of purpose-built offices (PBO) include places where service-oriented businesses are carried out as opposed to goods being manufactured or sold. PBO is used to denoted buildings that are built with office as a dominant use, where office use is not less than 75% of the net-lettable area. Excluded from the inventory are office space within multipurpose buildings where use can interchange with retail, residential, hotel and industrial use as well as office space that has permanently changed from the original use. *Article was written in collaboration with Michelle Chee.